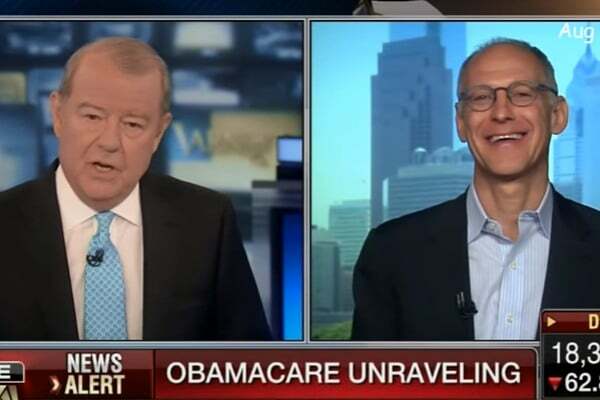 On the FOX Business Network this week, host Stuart Varney demanded an on-air apology to the American people from Obamacare architect Zeke Emanuel, the brother of Chicago Mayor Rahm Emanuel. Varney pointed out that millions of people lost their healthcare coverage and that their new plans offered less choice at a much higher cost but Zeke wouldn’t concede. On Fox Business this week, Stuart Varney declared that the rolling disaster known as ObamaCare is unraveling and demanded an apology from one of its chief architects. Varney pointed out that premiums are going through the roof, health insurers are pulling out of exchanges, and the cost of health care is skyrocketing — all points even The New York Times this week admitted. Emanuel, not surprisingly, refused to apologize and blamed Republicans for the high ObamaCare premiums.